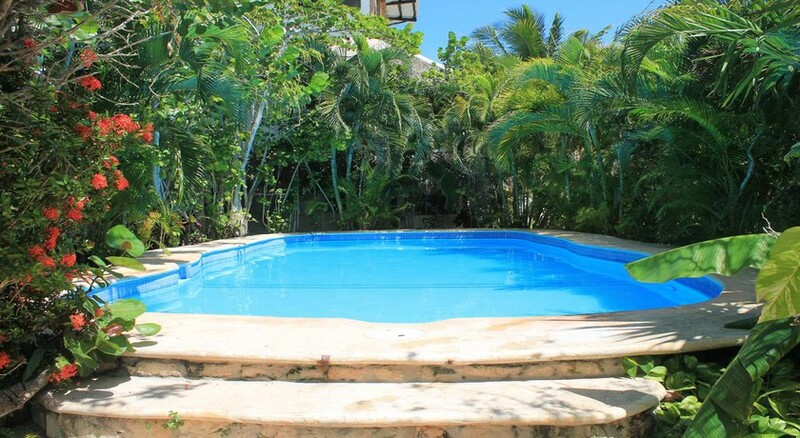 Hotel Casa Bárbara Holbox Island is a small and intimate hotel located on the main street of Holbox island. It has air-conditioned, rustic-style rooms equipped with a cable TV, desk and in-suite bathrooms with shower. With cottage style architecture, this property puts you close to numerous craft shops, restaurants and the beach. The hotel is an oasis of tranquillity with access to a refreshing pool and garden. All rooms at the Hotel Casa Barbara Holbox Island offer wonderful views of the gardens below. Staff can help arrange sightseeing tours to Holbox and the Yum Balam Nature Reserve. Holbox is a colourful little town in the Mexican Caribbean. You walk a few meters and you find a beautiful beach with white sand and sea colour and warm temperature. The island has earned the nickname of 'Paradise island' and it is well-deserved. 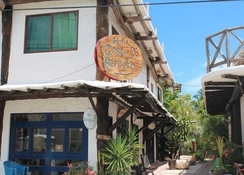 Located in the heart of Isla Holbox, Hotel Casa Barbara Holbox Island is a five-minute walk from the main square, which is full of restaurants and shops. Other local attractions include Holbox Church – seven-minute walk, Holbox Beach – five-minute walk, Punta Mosquito Beach – ten-minute walk and Punta Coco – 15-minute walk. The closest beach from the hotel is about 100 meters. 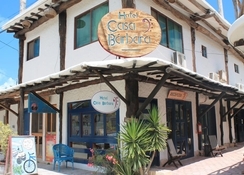 Hotel Casa Barbara Holbox Island offers 19 comfortably furnished rooms arranged over two floors. The air-conditioned spaces feature panoramic views of the garden which soon will become a part of your holiday retreat. Inside each room you will find homely details, such as cable TV, fan, closet and a living room. Guests can choose between Azalea, a standard king room with one double bed or Hibiscus rooms, with two double beds. The hotel does not feature any restaurant or bar on its premises; however, guests can find numerous restaurants in the surrounding area as the hotel is five minutes from the main square. Visit El Chapulim for great cocktails, Restaurante Viva Zapata provides cosy late night food. Restaurante Viva Zapata is an American diner. Both restaurants are within 400 metres from the hotel. Swim with whale sharks, see the sun set from a hammock installed on the seashore – Hotel Casa Barbara Holbox Island has it all. You could also take to kayaking or you could spend an afternoon in Punta Mosquito or walk on the beach for hours. Rent a bike or a golf cart and travel the island until you reach Punta Cocos.